Pennsylvania, a state so large that its borders extend to four other states, making it one of the most traveled through states in the U.S. Because it borders Ohio, New Jersey, New York and Maryland, it is hard to escape driving through its sometimes mountainous terrain. For those of you, like myself, who must drive through this state often, I have found a hidden gem (not so hidden) in Woodland, PA. Right off interstate 80 (just before route 322), is a little known place called Gio’s Woodland Food and Fuel–better known as Gio’s BBQ. This log cabin-style eatery offers wrap around services. Not only can you get award winning BBQ, but you can fill up your gas tank, plus stock up on munchies and bottles of water for the road. Gio’s started in 1991 as a pizza and hoagies pit-stop, where traveler’s could play pinball and unwind before getting back on the road. After entering a BBQ contest and winning for best ribs and sauce, and more than ten years of contemplation, Gio’s converted its one-stop shop into the award winning BBQ place you drive to today. 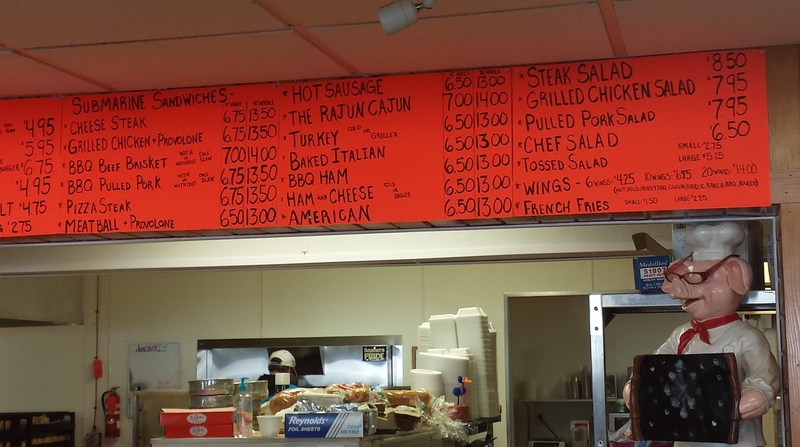 Perfectly located, you can’t miss this restaurant/convenient store, just over a three hour drive from Buffalo NY. 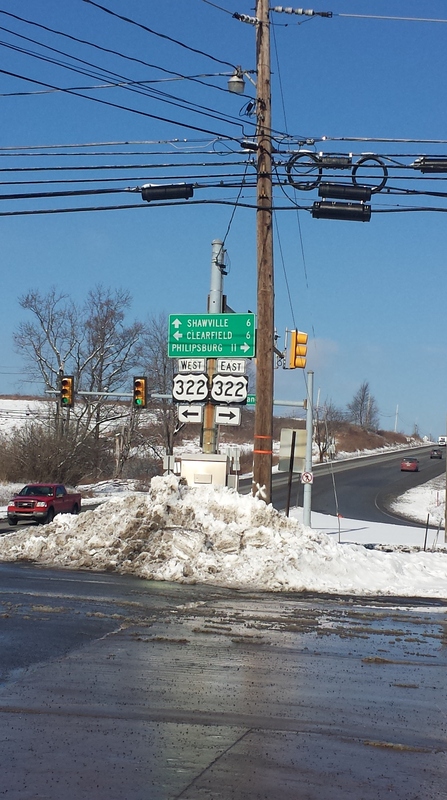 I must admit that whenever we travel, I cringe at the idea of driving through PA–not because I don’t like the state. On the contrary, it’s a beautiful state and one worth spending time in. Pittsburgh alone will have you contemplating a move, and the rolling hills and rocky terrain hold great geological history. However, we are never in PA to stay, just passers-by. Needless to say I get a bit punchy when in the car for long hauls, and Gio’s is the perfect distance for a break–not to long, not to short, it’s just right. My first experience with Gio’s left me excited to have to drive by it again. Of course we did, and I remember looking at the fuel tank and saying to my husband, “Oh getting a bit low on fuel, we will have to stop at Gio’s.” I had a grin on my face as wide as a Jackal. I have now been to Gio’s several times, and have tried many things on the menu. While Gio’s does have a vast menu; everything from pastas and salads to Buffalo Wings and Subs, I highly recommend sticking with what they are famous for…..their BBQ. (For those readers who are gluten free, they do offer gluten free pasta, and some gluten free sides). The half rack of ribs are a must try. The portion is large, so trust me when I say a half rack is a good idea. These slow cooked ribs, fall off the bone and drip with homemade BBQ sauce that is smoky and tangy with a touch of honey flavor. A favorite of my better half. The smoked hot sausage links are a great snack, but have a bit of kick, so if you have a long drive ahead of you, I’d think twice about this zesty bite. I almost always get the pulled pork sandwich. Smoked over apple wood chips, you get a great sweet and smoky flavor that infuses through the entire pork back. The meat is tender and shredded completely, and the roll is soft and dripping of BBQ sauce. With a side of baked beans and potato salad, my appetite is completely satiated and I’m ready to hit the road once again. 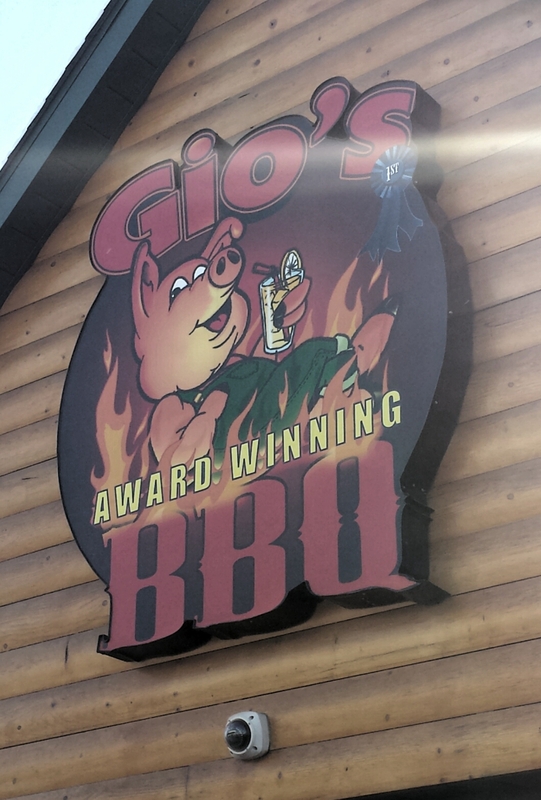 If your personality has you seeking some adventure, make the trek out to Woodland PA to hit up Gio’s BBQ. It will be a drive worth taking.